You enter the ancient temple of ‘Suíjī Long’ in search of mystical treasures but your presence is awakening the fierce dragon guarding the temple. If you leave the temple he will burn you to a crisp with his fiery breath. You only have one option; find a way to complete the symbol of the dragon which will put the temple’s deadly guardian back to a deep sleep. 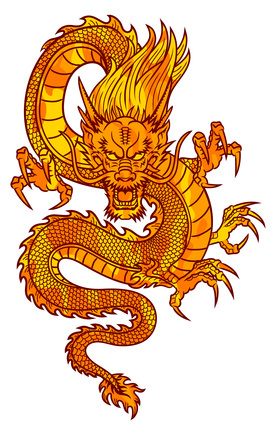 If you fail to complete the symbol within 60 minutes the dragon will fully awaken and then there will be no escape from the deadly dragon! The Dragon Room is full of intrigue and mystery. As soon as you step inside you will be whisked away to a beautiful Chinese temple. The clues are hidden everywhere but you’ll need your crafty logic skills, a keen eye for detail and the ability to think way outside the box if you are to escape the dragon in time!